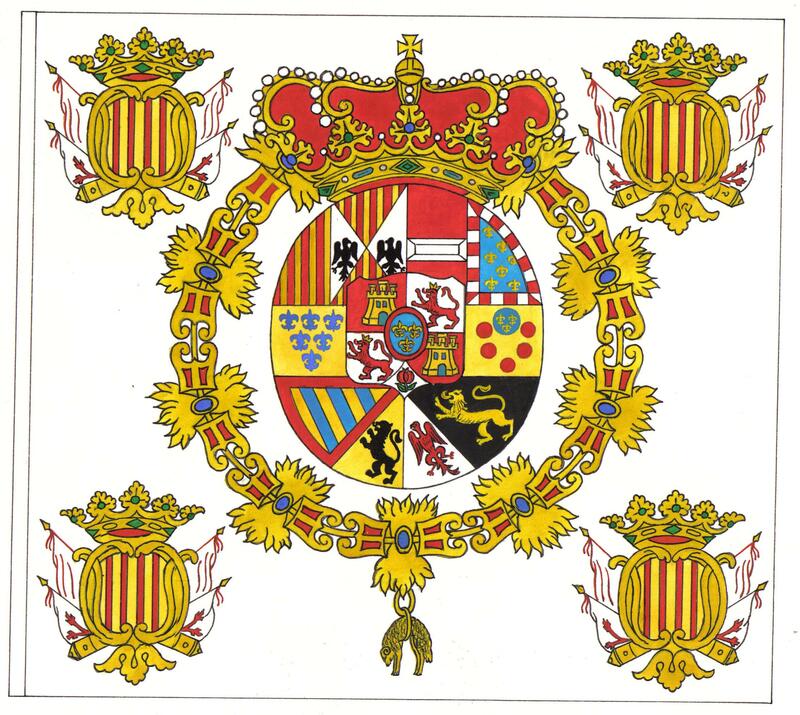 Je pense que les blasons (comme Blason fam fr de Savoisy.svg) seraient mieux sans le "reflect". Je trouve cette réflexion blanche et transparante dégrade l'image, les couleurs ne sont plus clairs comme ils le seraient sans le couche de reflect. A mon avis le Blason n'a pas l'air plus trois dimensionelle même avec reflect. En ce qui concerne ce blason: Je pense que les courbes autour du champ diagonal devrait être plus circulaire plutôt que parabolique comme vous les avez dessinez. Sous le Premier Empire l'usage était d'utiliser des écus en "accolade"
File:Blason William Montagu (2e comte de Salisbury) (version Gelre).svg has been listed at Commons:Deletion requests so that the community can discuss whether it should be kept or not. We would appreciate it if you could go to voice your opinion about this at its entry. Please do not remove deletion request tags from images before an administrator has closed the debate. If you do not agree that the image should be deleted, you can express your opinion on the deletion request page. You can find this page via a link in the deletion request tag or at Commons:Deletion requests. Thank you. Category:Beech_Marten_in_heraldry has been listed at Commons:Categories for discussion so that the community can discuss ways in which it should be changed. We would appreciate it if you could go to voice your opinion about this at Commons:Categories for discussion/2012/07/Category:Beech_Marten_in_heraldry. Pigeons in art has been listed at Commons:Categories for discussion so that the community can discuss ways in which it should be changed. We would appreciate it if you could go to voice your opinion about this at Commons:Categories for discussion/2012/11/Category:Pigeons in art. Thanks for uploading File:Blason Bolko III de Munsterberg (selon Gelre).svg. I notice that the file page either doesn't contain enough information about the license or it contains contradictory information about the license, so the copyright status is unclear. Thanks for uploading File:Blason ville fr La Turballe (Loire-Atlantique).svg. I notice that the file page either doesn't contain enough information about the license or it contains contradictory information about the license, so the copyright status is unclear. Thanks for uploading File:Blason François Louis Le Tellier (1704-1767).svg. I notice that the file page either doesn't contain enough information about the license or it contains contradictory information about the license, so the copyright status is unclear. French Navy officers has been listed at Commons:Categories for discussion so that the community can discuss ways in which it should be changed. We would appreciate it if you could go to voice your opinion about this at Commons:Categories for discussion/2013/11/Category:French_Navy_officers. File:Blason Charles XIII de Suède.svg has been listed at Commons:Deletion requests so that the community can discuss whether it should be kept or not. We would appreciate it if you could go to voice your opinion about this at its entry. File:Ornements extérieurs Abbés.svg has been listed at Commons:Deletion requests so that the community can discuss whether it should be kept or not. We would appreciate it if you could go to voice your opinion about this at its entry. File:Orn ext Comte (baron-pair) OSE.svg has been listed at Commons:Deletion requests so that the community can discuss whether it should be kept or not. We would appreciate it if you could go to voice your opinion about this at its entry. File:Delaroche - Assassinat du duc de Guise (Musée Condé).jpg has been listed at Commons:Deletion requests so that the community can discuss whether it should be kept or not. We would appreciate it if you could go to voice your opinion about this at its entry. unused template + commercial webpage: Since 1946, the Réunion des Musées Nationaux - Grand Palais photo agency (a public industrial and commercial institution under the authority of the French Ministry of Culture) has been officially responsible for promoting collections of France’s national museums. File:L'Illustration (3 novembre 1860).jpg has been listed at Commons:Deletion requests so that the community can discuss whether it should be kept or not. We would appreciate it if you could go to voice your opinion about this at its entry. Thanks for uploading File:Jacques de Juigné (1874-1951).jpg. This media is missing permission information. A source is given, but there is no proof that the author or copyright holder agreed to license the file under the given license. Please provide a link to an appropriate webpage with license information, or send an email with copy of a written permission to OTRS (permissions-commons@wikimedia.org). This also applies if you are the author yourself. The file probably has been deleted. If you sent a permission, try to send it again after 14 days. Do not re-upload. When the OTRS-member processes your mail, the file can be undeleted. Additionally you can request undeletion here, providing a link to the File-page on Commons where it was uploaded ([[:File:Jacques de Juigné (1874-1951).jpg]]) and the above demanded information in your request. Return to the user page of "Jimmy44".